The use of flexible gel products is a tried-and-tested means of insulating electronic components or electrical connections in the outdoors. However, gels are not only used to prevent moisture ingress. They also have excellent insulation properties and good media stability. The use of gels also increases mechanical stability as well as vibration and shock resistance. 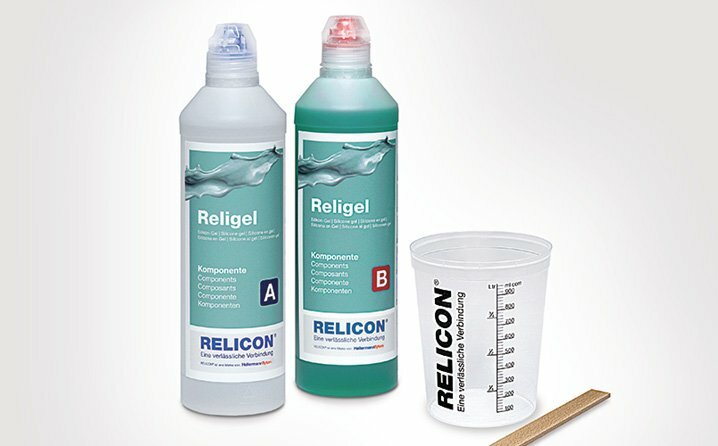 RELICON Religel by HellermannTyton is a transparent, elastic 2-component silicone gel, which is available in practical bottles and cans. Used in combination with suitable junction boxes, the silicone gel achieves the best possible protection against moisture. Classic areas of application are electrical connections, for example, in car washes, in swimming pools and saunas or outdoors. 2-component gels can be applied quickly and easily by hand. Effective insulation protection is achieved in just ten minutes. The excellent flow properties of the materials also contribute to the easy application. The curing process takes place without any additional heat generation. The two components, A (transparent resin) and B (green hardener) are mixed at a ratio of 1:1. 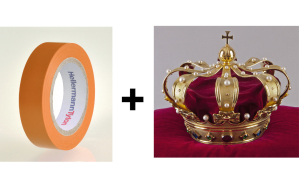 Religel remains elastic after the curing process, has vibration-absorbing properties and a dielectric strength of >20kV. It is possible to test the cable connection using a measuring device after application and curing as the probe channels reseal themselves. The 2-component silicone gel must be stored in the original container at temperatures ranging from +5 to +40 degrees Celsius. The product has an unlimited shelf life under these conditions. There is no risk to the health of the user when mixing the two components. The 2-component gels RELICON KH 100 and RELICON KH 67 by HellermannTyton are manufactured on the basis of hydrocarbon resins. Classic areas of application are the filling of low-voltage junction boxes. The transparent (yellow) RELICON KH 67 must be stored in the original container at temperatures ranging from +5 to +40 degrees Celsius and has a shelf life of 36 months. The transparent (orange) RELICON KH 100 is supplied in a commercially available 250ml cartridge and has a shelf life of 18 months under the same conditions. Both gels can be easily removed after curing, if necessary. Please tell us how you have used the 2-component gels in the comments box below so that others can benefit from your experience! Do you have any other questions about the product? Then contact us via our Infocentre. Merhaba bu iki jeli karıştırıp elektrik buatına döktüğümüzde daha sonra buatın içinden çıkartabiliyor muyuz?bir sorum daha var jelin kendini tamir etme özelliği var mı?